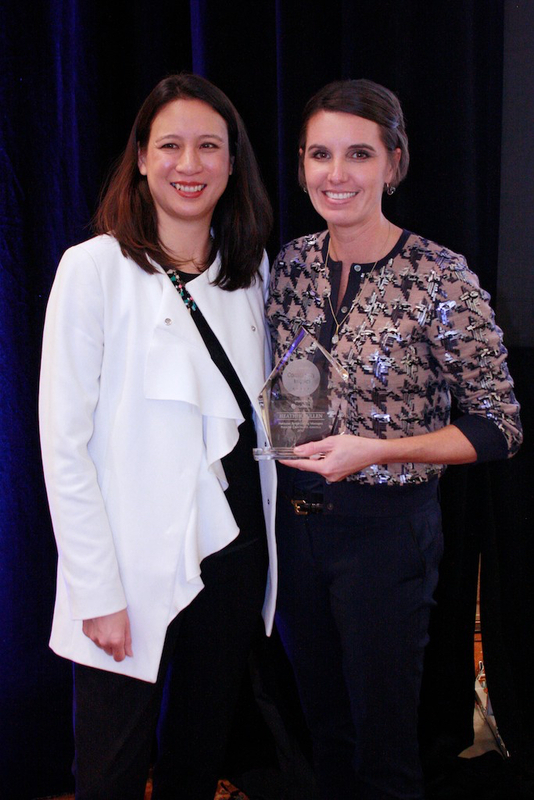 Grace Huang presents Heather Pullen 2017 Cox Automotive Community Impact Award. Presented by Grace Huang, president of Cox Automotive Inventory Solutions, this award, sponsored by Manheim, a Cox Automotive brand, recognizes a remarketing industry leader for their outstanding contributions to the community and the innovative ways they collaborate with community partners to help further their missions. While Pullen is passionate about performance cars and has worked at Porsche for more than six years, her real passion starts with horses. She is an avid polo player, and she and her husband, Randy Pullen, formed a charity in 2016 named Pony Up For A Cause. This charity was designed to give back to local charities in the Atlanta area by raising money through an annual polo event produced by Pony Up For A Cause. Pony Up For A Cause partners with Atlanta Ronald McDonald House (ARMHC) to support its mission in the local community. ARMHC provides temporary housing and support services to families who travel far from home to get treatment for their children facing a medical crisis. Since its inception, Pony Up For A Cause has raised more than $30,000 for ARMHC. For her leadership and commitment to making a difference through community service, Pullen’s charity Pony Up For A Cause will receive a $10,000 donation from Cox Automotive to further its work in the Atlanta area.